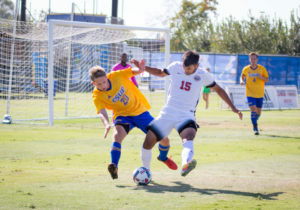 The CSU Bakersfield men’s soccer team wanted to get off to a quick start on Oct. 25, and that’s exactly what it did against the University of Missouri-Kansas City as the Roadrunners beat the Kangaroos 3-0 at the Main Soccer Field. 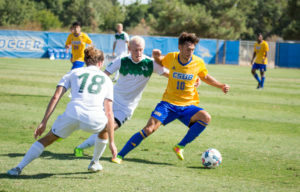 CSUB (6-4-4, 3-2-2 Western Athletic Conference) took the lead in third minute when senior forward Simon Doherty gave a lead pass to senior midfielder Christian Duarte to score the first goal. 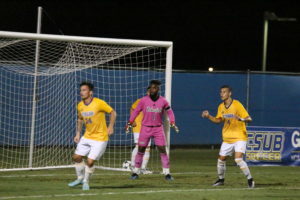 CSUB coach Richie Grant said that he thinks the early goal by Duarte set the tone for the game. Only nine minutes later the Roadrunners added another goal. 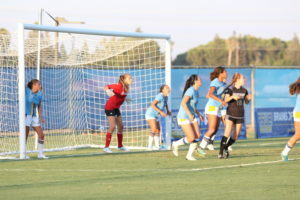 However, this time it came on a free kick when sophomore defender Jamie Morey-Correll set up a scoring opportunity for senior defender Mario Iniguez to header the ball in and give the Roadrunners a 2-0 lead in the first 12 minutes. After halftime, the Roadrunners’ attack slowed down. 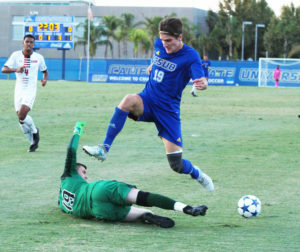 Then Grant put in redshirt-sophomore forward Julian Zamora and he sparked the team and CSUB added one more goal to put the game away. This time Duarte set up Zamora to score the goal at 74th minute. 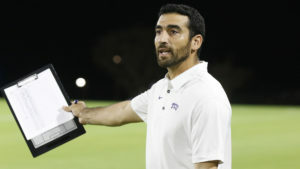 Grant said he wants the team to have some momentum going into the WAC Tournament, which starts on Nov. 12. 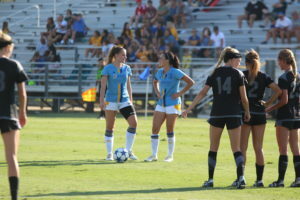 CSUB will head to Houston, Texas on Oct. 30 to play against Houston Baptist University.